Although now just a truncated stump, the Ute Council Tree was once a towering specimen. It was estimated to be over 215 years old at the time of its death in 2017, with a crown that reached 89 feet in the air. 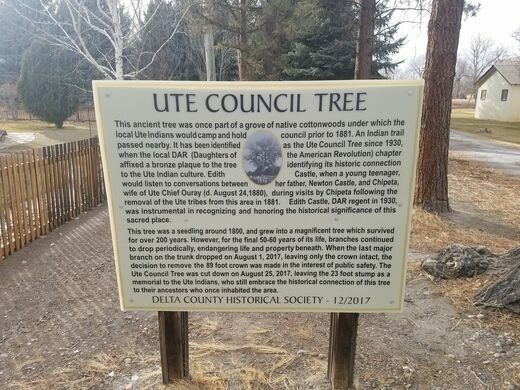 It is believed that the Ute American Indians who once lived in the area held tribal council meetings under the shade of the tall cottonwood, before their expulsion by the U.S. government in 1881. 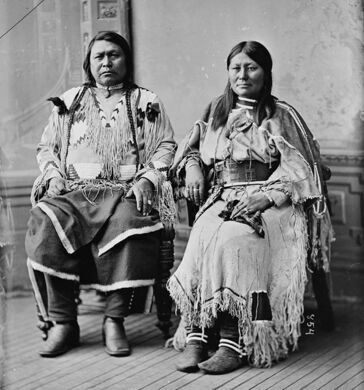 It is even claimed that Chief Ouray and his wife Chipeta negotiated treaties with white settlers at the site of the council tree, though there is very little historical evidence to back that up. 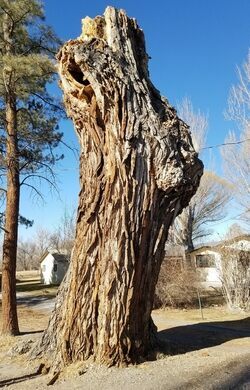 In fact, when these events would have taken place the tree would have been much smaller and indistinct from the other cottonwood trees that were there. Still, the centuries-old tree became linked with the Ute people and given historic significance. 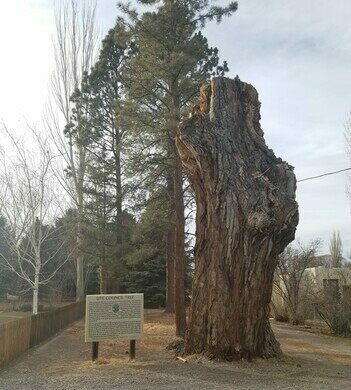 In August of 2017, the last living branch of the massive cottonwood fell off, and the decision was made to cut down the dead canopy of the tree in the interest of public safety, leaving the remaining 23-foot trunk as a memorial to the tree and the Ute tribes. An eclectic collection of artifacts from the Wild West is preserved in a remote fictional pioneer town. A recreation of an Old West apothecary full of curios. A somber monument commemorates the site of a Native American reservation marked by suffering.